Anyone familiar with the brazen nature of trainer Floyd Mayweather Sr. knows all too well he hasn’t been the biggest supporter of Manny Pacquiao in recent years. That’s to be expected, of course, as the Filipino icon still serves as a rival to Mayweather Sr.’s son Floyd in some regards. And while it is highly unlikely that we will ever see Pacquiao and Mayweather in the ring together, I recently asked Sr. about Manny’s future in the sport. Pacquiao is coming off of a unanimous decision over Tim Bradley that saw the WBO welterweight title shift back to his hands and there is a strong possibility that a fifth showdown with Juan Manuel Marquez could be in his near future. Marquez knocked Pacquiao out in brutal fashion in December of 2012 and Mayweather Sr. believes the loss will still be in Manny’s head if the two lace up again. 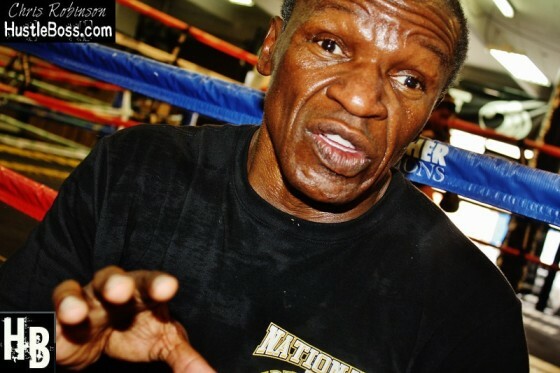 “I can tell you one thing, Pacquiao’s going to be scared as hell,” Mayweather Sr. told me. If he had to choose a winner, Mayweather Sr. seems unsure who to side with.